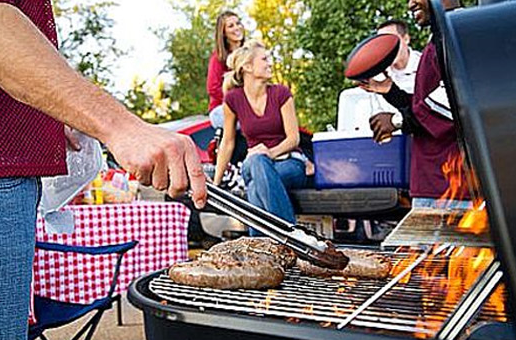 Tailgate season is an awesome opportunity to show off your impeccable grilling skills and spread the word about Passanante’s Home Food Service’s unbeatable meats and veggies. We know you always want to be the life of the party with delicious and healthy foods to serve your friends and family, which is why we think tailgate food preparation is so important. A beginner’s mistake as simple as reusing a half cup of marinade to baste steaks can be the difference between a day you’ll always remember and a day you’d love to forget. The USDA is a fantastic resource for food safety tips, recall announcements, and even Podcasts and videos. We found this helpful Tailgate Food Safety Q&A and thought it would be a great thing to share with all of our foodie friends. We hope you all have a great weekend cheering on your favorite teams and are certain that paying attention to food preparation details will help you get on your way to a great tailgate! This entry was posted in Food Safety and tagged Food Delivery Service, food preparation, Food Safety, Passanante's Home Food Service, tailgate food, USDA by Passanante's Home Food Service. Bookmark the permalink.